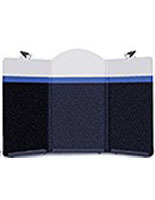 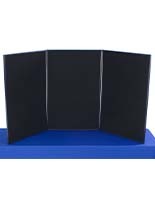 These tabletop presentation boards with logo features three folding panels in reversible black and gray with hook and loop receptive backing. 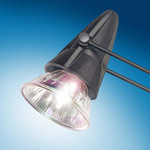 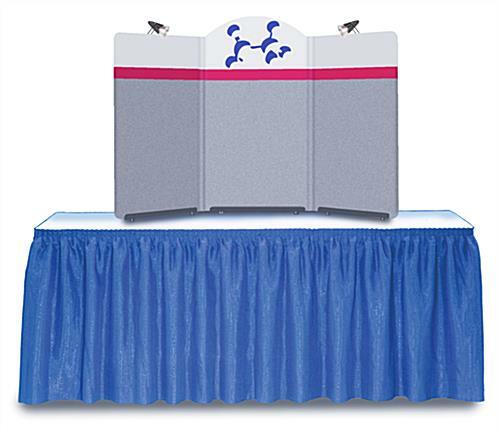 The mini trade show displays are perfect for a school or science fair, or business exhibit. 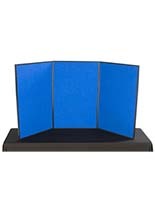 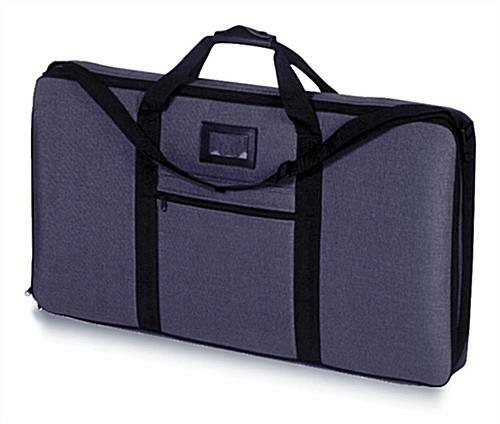 These presentation boards with logo have three panels; the right and left panels measure 18"w x 32"h and the center panel measures 18"w x 36"h. The displays have a white header and custom 1-color text or imprint area, and are shipped with a nylon travel bag. 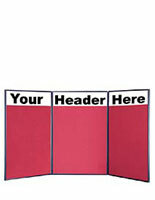 Please note: for text-only headers, customers need to specify color and text in the order form's "Special Notes" section when ordering these boards with logo. 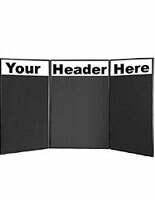 Headers are only available for the curved or center header measures 18"x x 5 3/4"h and 9 3/4"h.
Be sure to add to your order, including trifold holders, sign framing, and VELCRO® brand loop and hook strip for customizing countertop displays.